Look out, Austin! Godzilla is coming for you. 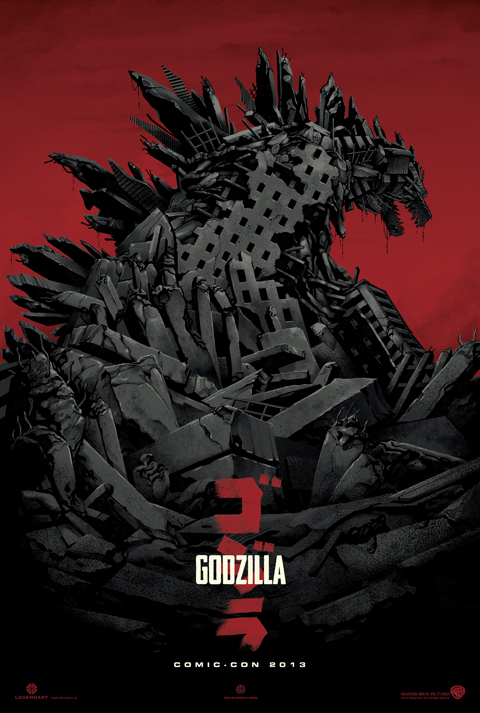 The king of all monsters is coming to this year's SXSW festival, and to celebrate, Austin-based design studioMondo commissioned an exclusive poster for the new big-screen version coming this summer. Designed byPhantom City Creative — who also created a special "Godzilla" poster for 2013 San Diego Comic-Con —it shows the big beastie literally rising out of the smoke of a smoldering city.